Immigration to a new country is a decision that has a major impact on your career and life. It’s the decision that not only influences you but also effects the life and prosperity of your family as a whole. Hence, there must be negligible possibilities of error and mistakes, while you are applying in an immigration program of your destined country and subsequently, filing the visa application, etc. Why Consultant are needed for overseas immigration process? So, if you are not well versed with the immigration procedures and guidelines of your destined, country, it is always suggested to take services from a genuine and trusted Consultancy Service for immigration. Most of the advanced nations are very strict about their visa rules and regulations and any violation to the same is taken severely,in terms of ofpenaltyor punishment for the noncompliance. Moreover, the visa rules and guidelines in many countries have become strict and frequently changing in last few years, which has made the task even more challenging for the applicants. A migration expert is always needed to guide you through the immigration procedure. However, it has been observed that making use of the applicants’ innocence and inexperience, some visa agents and agencies trick them to make easy money. Meeting such agents or agencies is the worst thing to happen for any applicant. Immigration to your favourite immigration destination involve various hopes and aspirations, hence, you must not leave any stone unturned when it comes to obtaining the approval of visa for your destined country. However, meeting any agent or agency involved in scamming can really shatter your dream of moving abroad for bright career and quality of life. Anyone who is trapped and tricked by such unethical entities or individuals bound to lose the hard earned money as well as a quality time that goes in vain in following the wrong immigration procedure. 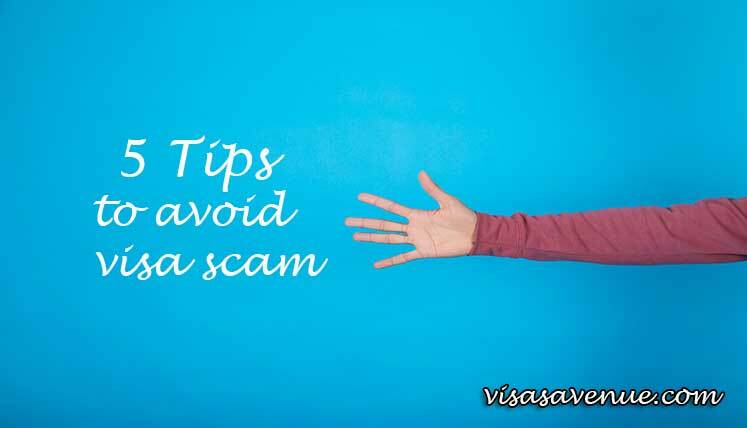 Find below some important tips to avoid visa scams against you. Keep a distance from an agent or agency, which fails to prove its association or registration with ICCRC- the regulatory body for migration agents active in Canada. Each one of the migration agents providing assistance on Canada immigration needs to be accredited with ICCRC. Allocation of Visa is beyond the jurisdiction of any agent or agencies. Hence, anyone who makes sweet but false promises and gives a guarantee of visa approval is the one you should avoid. Many consultancy services trick the applicants with the false promise of job or placement in the foreign countries, i.e. Canada, Australia, etc. hence, don’t fall for such promises and make a distance from such agents. There are entities and individuals who claim to be authorized migration agents and demand the money straightaway, without even giving you essential initial consultation etc. So wisely judge the consultants, who are after your money. Stay away from consultants or agents who make the process confusing and don’t make things clear about the process and charges in the beginning. If you find anythingfishy, it’s time to end ties and quit. Visas Avenue being the top and accredited Consultancy Company in India for Canada and Australia, not only helps the applicants in immigration process, but also makes them aware as to how they can prevent themselves from being a victim of visa frauds or scams. For further assistance, guidance or support on Immigration abroad, or regarding avoiding the fraudsters, you may call Visas Avenue migration experts on Toll Free Number- 78-18-000-777. Moreover, you can also drop an e-mail to Visas Avenue on e-mail id – info@visasavenue.com. Why the Need of Good Overseas Immigration Consultants is rising?